Every year when spring comes, the saying “April showers” takes on a whole new meaning at the Mungere School. 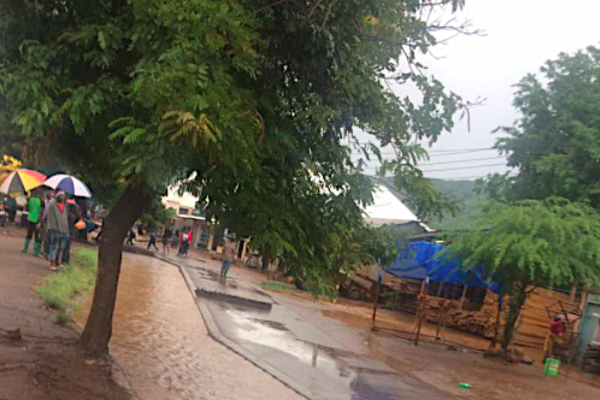 While the long rains are a welcomed change from the heat and dust, as well as a vital factor for new crop growth, the rainfall can also cause intensive flooding, often with little notice. 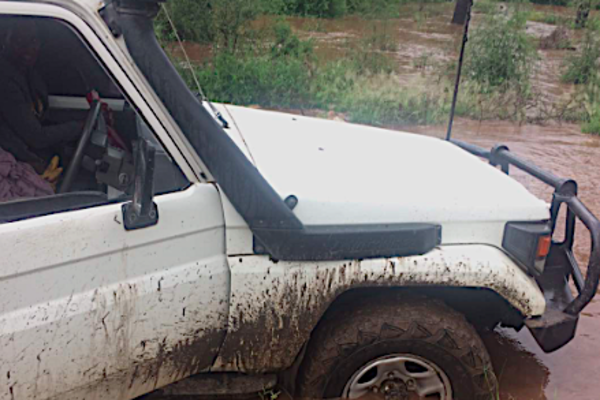 In an unprecedented circumstance, Mungere was unfortunately forced to close for two school days due to rising waters, which made the trip to campus impossible both for vehicles and on foot. On most days, the rainfall leaves behind large puddles of water and mud, but students and teachers can still make their way to school. However, these last few rainfalls didn’t just create puddles, but flowing rivers and waist deep waters, created by the surrounding Great Rift Valley escarpment. “The water brings lots of debris, insects and thorns from other places. We have to be careful when we walk,” says Form IV student Nipael Lucas when asked about walking in the heavy rains. Items swept away in the waters could end up at anyone’s doorstep, creating additional problems on top of the excessive water. Having friends, good food, fun activities and opportunities to learn new things are all part of the Mungere School experience and, it seems no matter what kind of weather falls upon our students, they are excited for the chance to participate -- rain or shine.